Making Your Pattern: "Digitizing your Pattern"
Quick reminder that the To The Line Knock off pattern is available to print HERE on my Scribd shalf. I should mention that if made as is would result in a dress sized "4". I think the majority of people who have asked me questions about making patterns have asked how I make my patterns digital. For a while I didn't really want to share this info because I felt like it set my blog apart, having digital ie. not hand drawn, patterns. But I feel like that is a little lame and selfish of me. This method of making your pattern I just made up after fumbling around with photoshop for a few days. 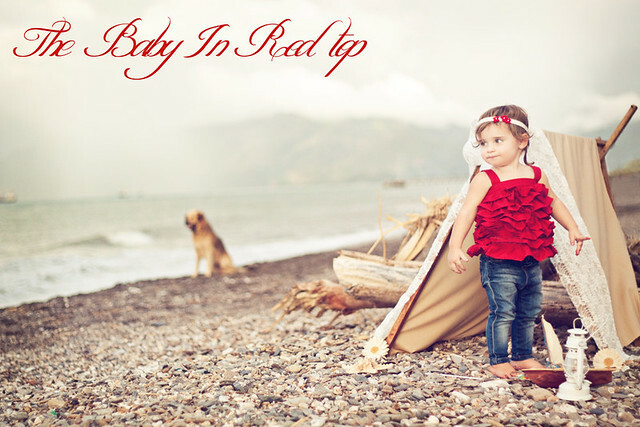 It does rely almost completely on Photoshop or Photoshop elements. I have no idea how you would go about doing this without several of the elements that these programs offer. If you do not have either of these programs I would highly suggest looking into Photoshop Elements. It is a great entry level editing software that is SOOOO user friendly. There are some aspects of Photoshop elements that I wish Photoshop CS would adopt ha! It is much more affordable and you can see if you will use it enough to make the plunge to a Photoshop Suite! I also thought it would be helpful to have a reference with all the steps so you could simply print it out and have it next to you while you are trying to master the process. You can find the step by step printable HERE on my scribd shelf. Please note that this is not to be reproduced in any form without my WRITEN consent. Oh dear what a doozy of a week we have had. A horrible stomach flu went through our family. I guess it was nice in that we all had it on separate days? Which basically meant there was a constant stream of towels and sheets to the laundry. When I finally came down with it? Well lets just say all of a sudden those first three months of pregnancy came vividly back ha! Then on this weekend it was our 9 year wedding anniversary! I thought I was well enough to go to dinner so we headed to one of the 3 "Nice" restaurants in Dili. Unfortunately mid way through I started feeling as if I was having one huge long contraction and was basically doubled over in pain. With dinner packed up and apple pie to go we headed home. Thankfully after a hot bath, a heating pad on the lower back and some sprite I was feeling better. Of course not until after I had gone through the list in my head of who I could possibly call for help (there are no OBGYN's or the like on the island) Needless to say I am feeling a bit more anxious to head back to the States and be near a Doctor. ANYWAY that is what has been keeping me busy all week. I have been dying to get these posts going because in a matter of days the computer/sewing machine will be packed up and ready for transport whoo hoo! Now I am sure there are other (probably better) tutorials on how to make a pattern. I just wanted to share the rather random way I do it :) Making your own patterns, much like anything, gets easier the more you do it. The first time I "knocked off" a dress a few years ago I literally unpicked the entire thing, copied the pieces and then sewed it back together. I NEVER did that again, holy cow was that a ton of work (but it was a super cute dress ha!) As you do it you will get used to the repeating pieces you will find in most dresses. Once you find a sleeve you like you will find yourself using it over and over and not having to make a new pattern piece (Shabby Apple uses basically the same sleeve on A LOT of their dresses). This will mean an easier AND faster time. 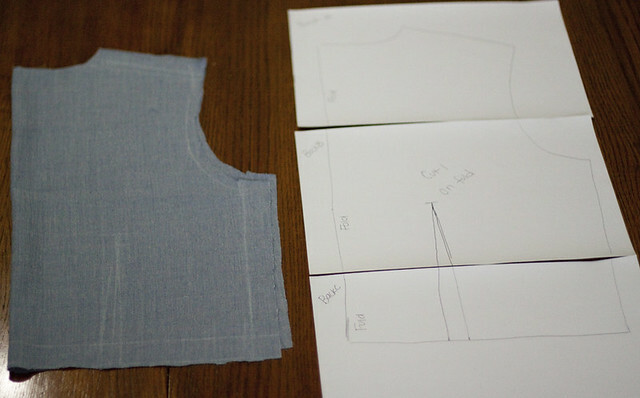 Since the Toe the Line dress is both straightforward and tricky at the same time I thought I would show you how I made the pattern for the back of the dress and you can get the general gist of how I do it. Honestly the front pieces took my a while to figure out but that is the fun of knocking off a dress! 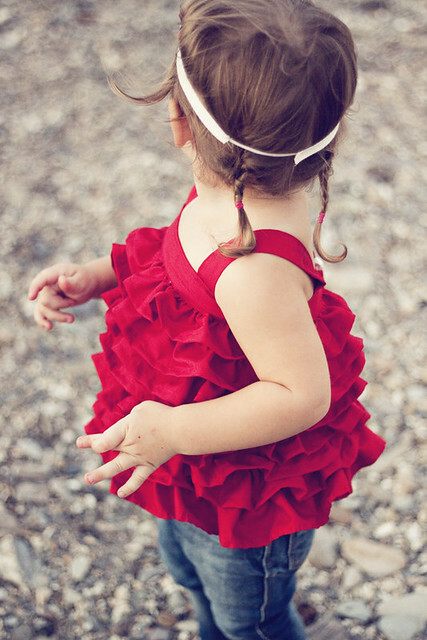 These dresses are gorgeous and if they were easy to make they wouldn't cost as much as they do or look as good. I would highly suggest going with something simple first like an easy wrap dress and then as your confidence grows branch out! If you begin with inexpensive muslin for the fabric you won't worry about waisting fabric and money and believe me you will learn a TON about sewing ha! If you would like to follow a long but have some concrete help you can now print out the Toe The Line Knockoff Pattern HERE. Or if you would just like to print it out and get a head start by cutting out your fabric there you go! 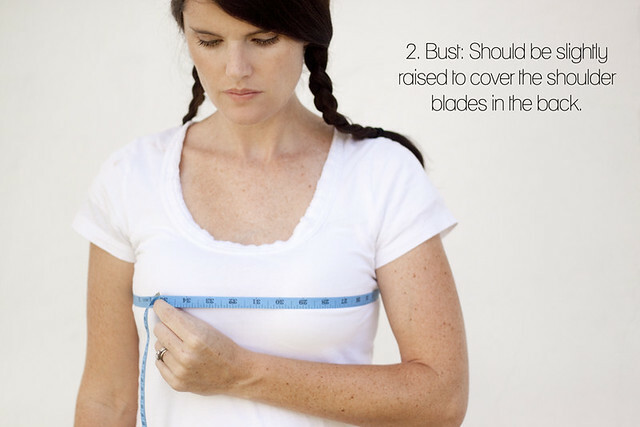 If you haven't already you HAVE to have all your measurements taken before you start. Click HERE for a complete guise and handy printable table! I started out by using my Back to waist measurement to draw a straight line. This would be the center of my back piece. This could also be considered the "fold" of the fabric. You really only have to draw everything on either one side or the other when you have a fold like this, but I did both in this just to be thorough. I then use my Back width to create a T across the top. This will be made into a nice dip shape later. I then use my shoulder length to create my shoulder lines. You may need to measure from your top neck bone over to your shoulder blade so you know where to begin your shoulder line. (This would be another good measurement to write down). Now I want to make a scoop neck in the back. Starting where the shoulder length begins I draw a nice slope down to meet the center back line. I then do the exact same arch on the other side. 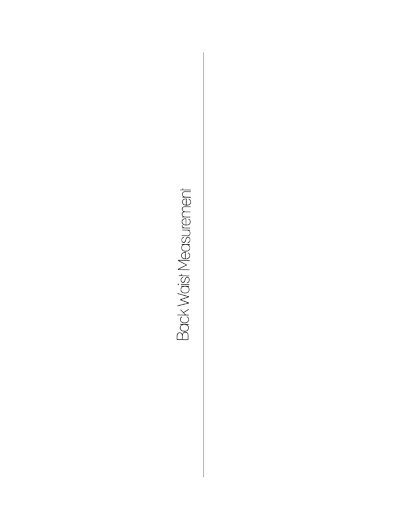 Then I use half my waist measurement to draw a straight line across the bottom perpendicular to my center line. (I have no idea why only the typing showed up not the line). I then take the measurement (which I totally should have included on the list) from right under my arm down to my waist. I prefer to do this straight down and then use darts to taper the fit. If you hate darts for some reason you could do it at an angle. I pictured it here with an angle just for simplification. Now you are going to need to make your arm holes. This can be tricky when you are by yourself. I like to roughly measure the arch and then try to recreate the measurement. This is hard if you are by yourself. 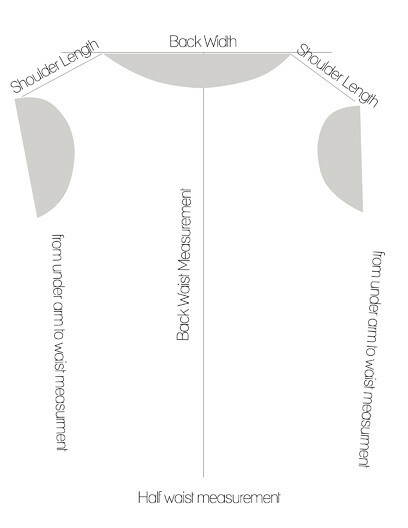 If you are by yourself use the measurement from the top of your shoulder to your under arm and add a generous amount for rounding and seaming. Once I was done I transferred my pattern onto 8.5 X11 paper. I try to make sure to add a nice hefty seam allowance while doing this. This is a rather sloppy one usually I try to do them nicely enough that if I HAD to I could leave it un-digital and people would still want to use it :) I try to make sure each sheet contains the name of the dress, the piece it is, where the fold is, cutting instructions and any darts, pleats etc. But digitizing your pattern once you make it is for my next post!!! Hope this was clearer then mud ha! Also, I left it in the comments but wanted to make sure the people who wanted to know weren't left hangin'. Evie's jeans in the last post were from Zara Kids. If you are able to go to one or order online just keep in mind their sizes run large. Those jeans were 12-18 months, Evie will be two next month and they just now fit perfect. Thanks for all the kind comments about the last post I am right there with you and just LOVE that top! Thanks for all your sweet comments!!! Ironically enough the first one I made was WAY to big for Evie. 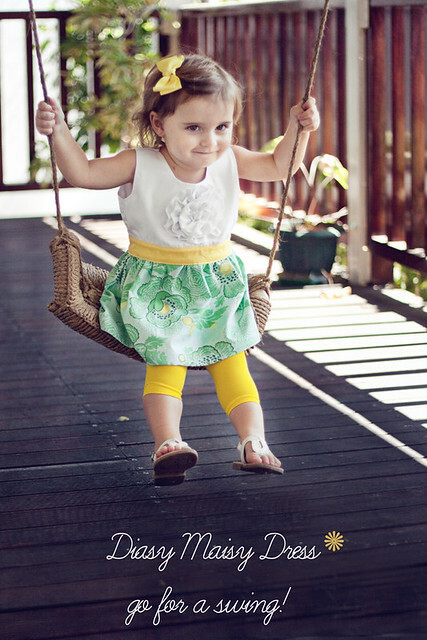 It ended up fitting Sawyers little friend Carmen like a glove so I would say the pattern you can print out is more of a 4T age range. I made mine without sleeves because I thought it would look super cute with a cardigan this fall and didn't want the bulk under. You could easily add them. The rosette in the middle was a lot easier then I thought it was going to be, especially if you use a soft suiting cotton/ dress shirting fabric. 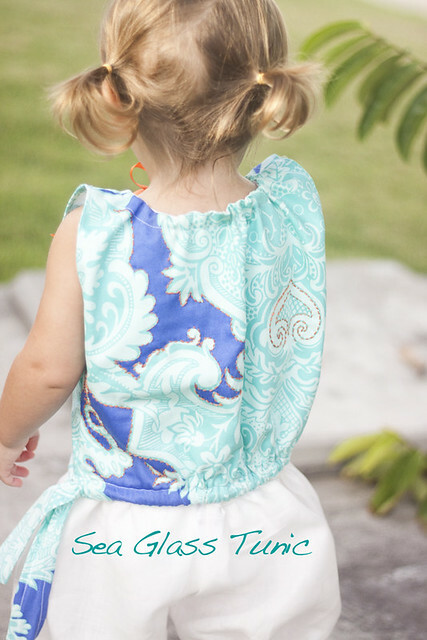 I bet you can make it with fabric you have on hand! So instead of $42 it is free! If you wanna go for a swing and get the pattern just click read more! Of course we have to continue Evie's wardrobe (there are just a few more items ha!). 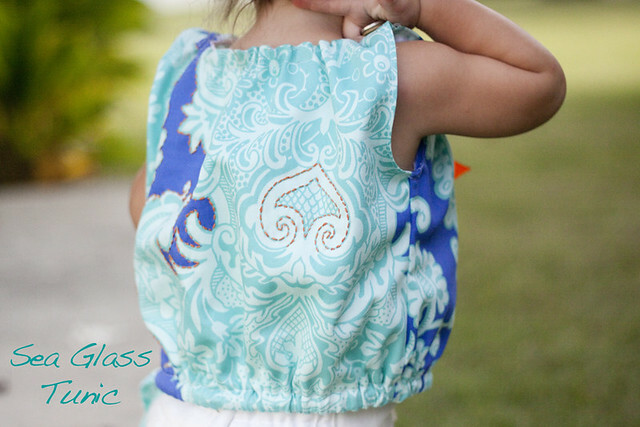 I have been waiting and waiting to do this project for Color My Summer over at Kojo Designs! I have to say this has absolutely been one of my favorite series to be a part of. Stopping by every day instantly brightens my day, literally, my screen gets so bright ha! I adore Kristen and Jordan, their emails never fail to make me laugh out loud. They were so much fun to "compete" with on Project Run and Play and oh my goodness were their designs fantastic. When they emailed and asked me to take part in Color My Summer I was thrilled! Somehow I got super lucky and snagged the color Red. 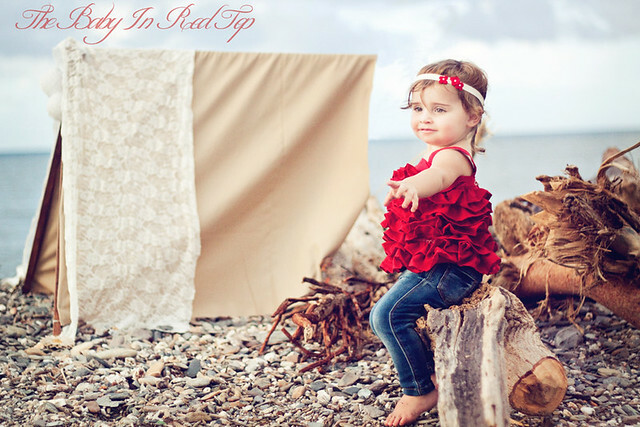 When I went to Jakarta there was a tiered ruffled dress that I was dying to recreate and this was the perfect excuse to come up with the Baby in Red top. I am thrilled with how it turned out and how easy it was to make! 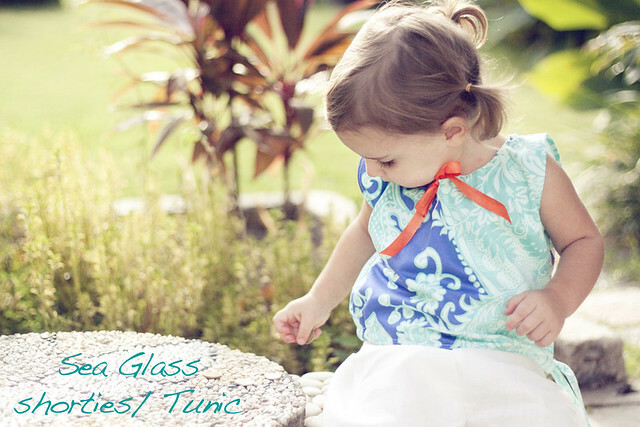 I thought it would be a perfect little top to share on the summery and color filled Kojo Designs. 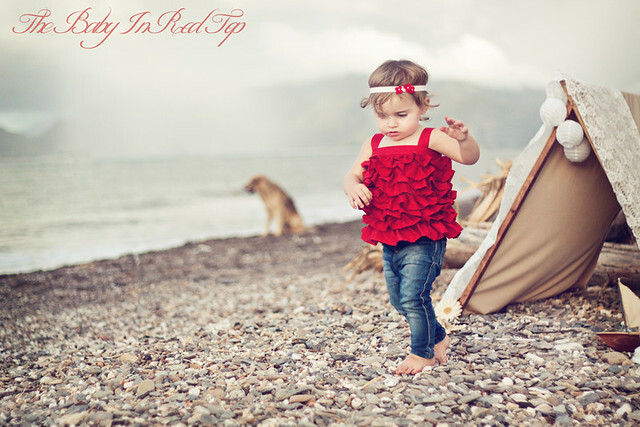 I loved the contrast of Evie's sea of ruffles and the grey sky. She was even good about wearing the little headband I made out of twill tape and little felt flowers. The back has a tiny strip of elastic so it is super comfy. The top has a single button closer so it is easy on easy off. I am absolutely making more of these in fun bright colors and have even thought about making one in rainbow color, how cute would that be? Now grab your munchkin and your measuring tape and lets get to work! I am so excited that there was such a great response!!! 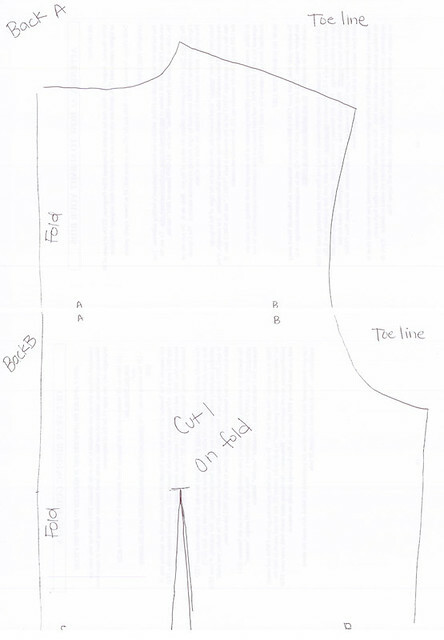 I hope it is okay but I have gone ahead and made a pattern for the "Toe The Line" dress. I will be sharing it as soon as I finish using pieces of it for the "create a digital pattern" tutorial. That way you can follow completely along! 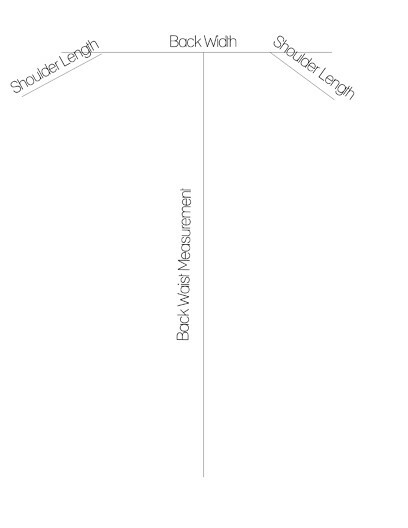 The first step (and an extremely useful thing to have on hand for ANY seamstress) is finding your correct measurements. 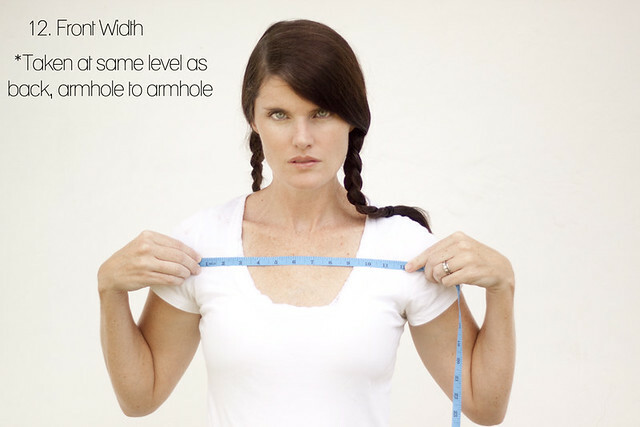 There are plenty of places you can find how to do some of these measurements but I will walk you through and extremely thorough measuring of yourself. It is based on a 1950's guide similar to THIS one. It is pretty crucial that you have a "partner in crime" while doing this. There are some measurements you just realistically cannot get accurately on your own. Plus then you can concentrate on your posture (crucial to goo measuring) and you don't have to worry about yourself sneakily pulling the tape just a tich tighter if you know what I mean :) In some pictures my tape is not perfectly straight or has twisted. Having another person measure you will prevent such things from happening. This can be a slightly time consuming process and once you have done it you want to make sure you keep track of your measurements. I have created a fun little sheet with all the different spots typed up and locations for you to enter your info. I also included places that when making a pattern your should include the indicated "ease" to make sure it sews up nicely. You can find this measurement worksheet HERE on my Scribd shelf. 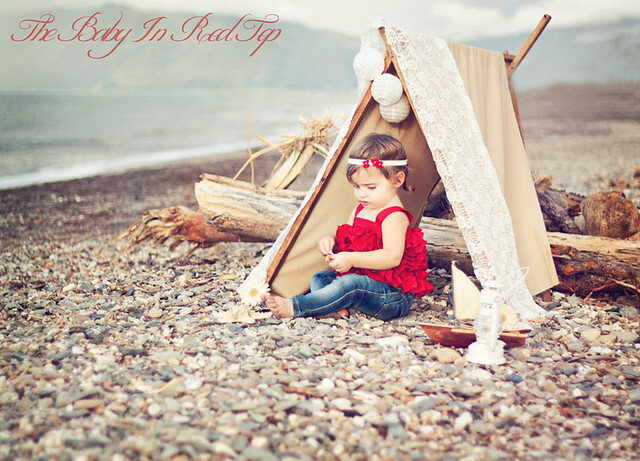 Once you have printed it out grab your friend, a pen, a measuring tape and maybe some ribbon. Please forgive some of my duplicate numbering ughhh. The first measurement I take is my waist. 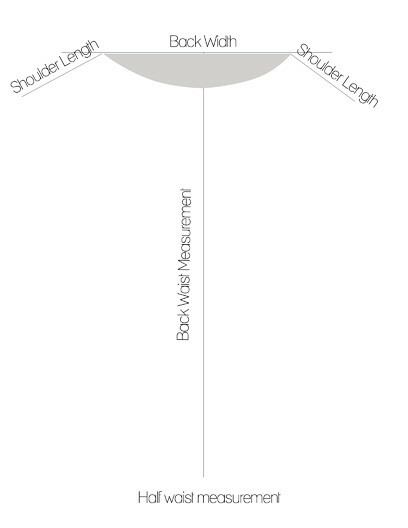 Several of your other measurements will be based on this location so make sure to get it right. Make sure it is not at your "high waist" but the thin part of your waist. (which is hard when you are totally preggers ha!) Once I measured my waist I placed a ribbon at this exact location. Next up the bust. Make sure there is a finger between your bust and where the tape ends meet. This gives you some nice wiggle room. Funny side story. If you go to Victoria Secret they are well trained at getting your perfect bust measurement. I went in one time and was shopping and one of the workers chuckled when I looked at a particular size and said "um, sweet heart do you want me to measure you so you get one that actually fits?" Yeah... as if shopping for under garments wasn't awkward enough for me ha! Anywho if you want a good one go there! This next one is commonly skipped but is a nice one to have to determine whether you chose the correct size in a pattern. The next measurement will help to ensure when you sit down your skirt doesn't rip ha! When taking this next measurement make sure you tell the person helping you where you generally like your skirts to hit. I like them right above my knee. Next find your collarbone and follow it down to the center of your neck. Now do the same thing in the back. Alright this next one is fairly impossible to take correctly on your own. As you can see from my sad sad attempt to do it ha! 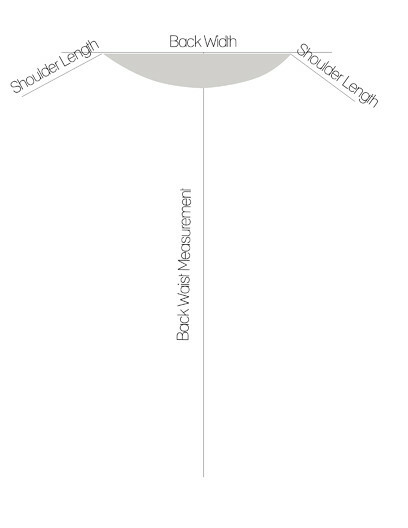 The measurement should go from sleeve to sleeve across your shoulder blades, much higher then seen here. The next measurements are for pants or long dresses. When measuring for pants remember the longer you can make them (without stepping all over them) the more flattering they will be. Also consider what kind of hem you like, I like mine chunky so I add some length. I probably went a little too high in this picture for this measurement. When it says center of neck in means center of circumference not height. Next you will measure the largest part of your arm. This last one may seem like an odd measurement but it really helps to make sure pants fit correctly when you sit down. Once you have them all written down I put mine in a plastic page protector so I don't accidentally throw it away and it last longer. I use it when I buy a pattern and am wondering what size to make, making my own patterns etc. Hopefully this was helpful! You will certainly use it making your own patterns! 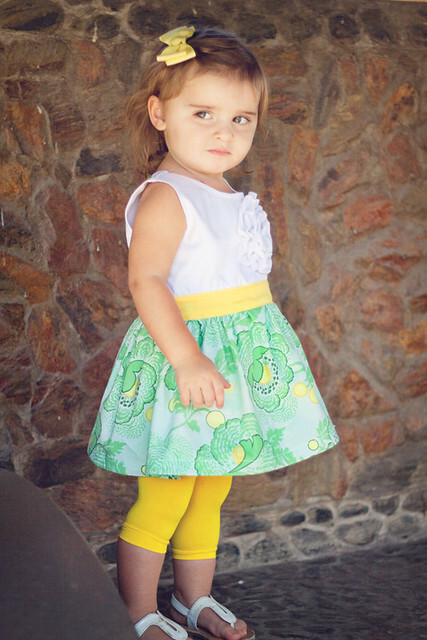 I have recieved lots and lots of emails asking questions about how I make patterns. They run the gammut from how do I knock off a dress to how do I make the actual digital pattern. I have been answering these q's one at a time until I today when I recieved a super sweet email from a long time reader who sews with a group of Military wives. I am a SUCKER for military wives. I have sooooo been there and would honestly bend over backward for anything a military momma asked. Her group asked how to mimic a particular dress. Well I thought this would be a great opportunity for me to walk you lovely readers through my entire process AND let you pick the dress you want recreated in an "inspired by" dress!! This would probably be a week long process with a post dedicated to measuring yourself correctly and where to measure, creating the pattern pieces with your measurements, making the dress and then making the digital pattern. I now this sounds daunting (just typing it I feel a bit quesy) and it took me a long time to figure this out and work out kinks so don't worry if you're first crack at it leaves you with a dress that looks like a potato sack. I wanted to know how much interest there would be in this though? I don't want to bore ya'll. If you would like to see this happen leave me a comment and let me know which of the dress in this post you would like to see me "attempt" to recreate and I will get to work! And maybe there might even be a giveaway at the end! 1. While I like to think of myself as a pretty adept semstress, even after serging etc, in the end a dress you purchase from a retailer like Shabby Apple and Down East Outfitters is always going to be higher quality. They use professional grade machines, thread etc. 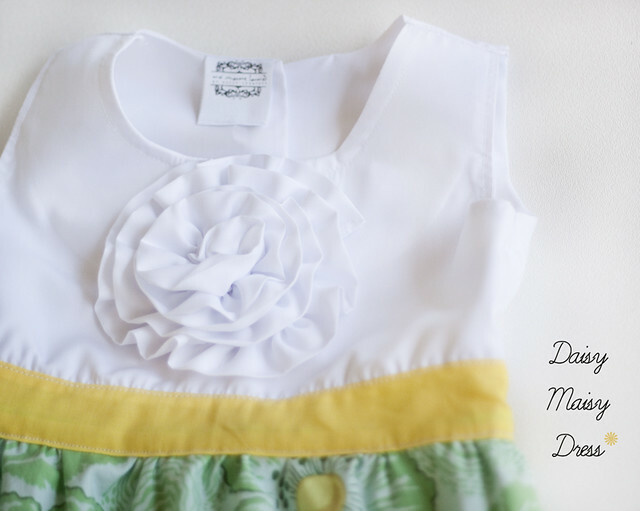 So if you are looking for a dress that you will be able to hand down to your daughter you might want to make the splurge. 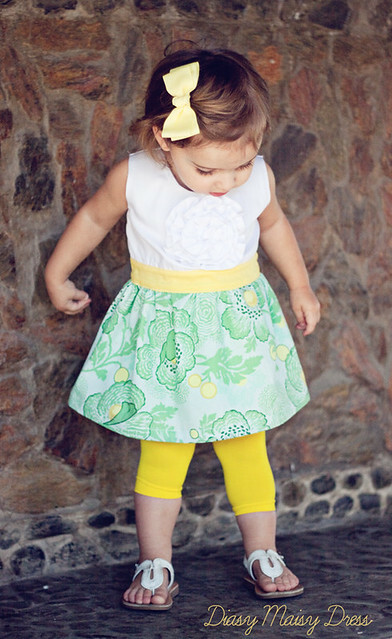 I have yet to purchase a dress from Shabby Apple that I haven't been thrilled with. I am always a bit apprehensive due to the price tag but the minute I put it on I always feel it is totally worth it. 2. I wanted to reiterate that I am 100% fine with readers making and selling items created using my patterns on Etsy or other sites. More power to yah! I do however retain all rights to the patterns themselves and they can in no way be reproduced or sold. 2. I know a lot of ya'll are totally annoyed by having to download the pattern pieces one at a time instead of as a whole document. This will change in four weeks when I have high speed internet. For now the only way I can upload a document is by shrinking it significantly and then loading it one by one. I have tried int eh past to do more then one at a time but with the electricity cutting in and out I have never been able to do it grrrrrr. Sorry for the frustration. 3. I get asked often about on Etsy store. While I would love to have one it is illegla for me to send anything through the diplomatic mail that I would make money on. So maybe when I get back to the states? 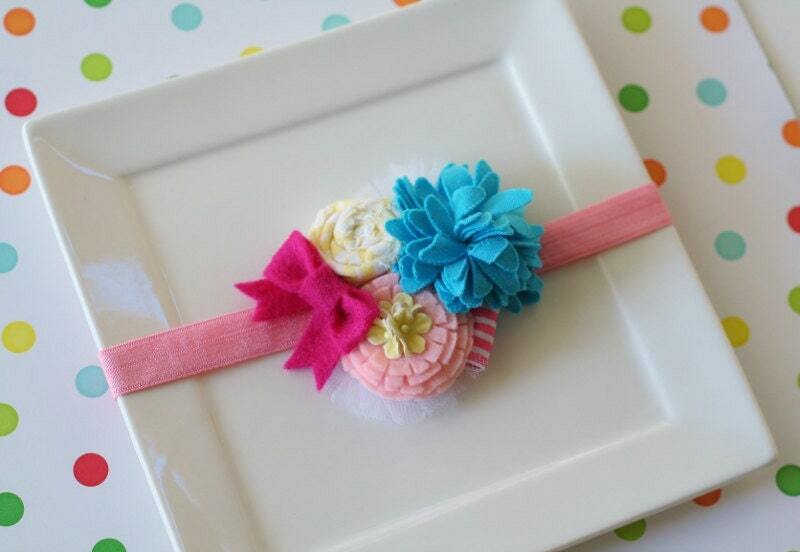 For now if you are looking for premade headbands like the ones I make Evie, check out Alexie's store HERE. Her headbands were made using my tutorial and are WAY cuter then mine and you don't have to do any of the work ha! I am a major sucker for Tunics. I knew when I started Evie's wardrobe it would have to have one. But I also hate being unoriginal and if there is something out there cuter then what I had in mind well then, I just have to go with it. 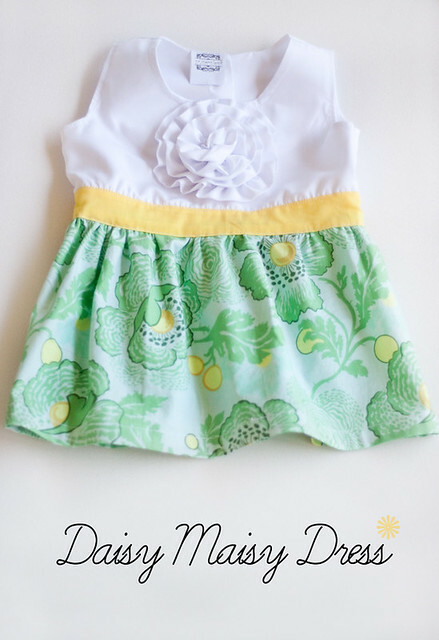 So, I made Evie's tunic based on Jessica from Me Sew Crazy's out of this world adorable Chloe Tunic which can be found HERE. I made a few changess to make it more suitable for Evie and Timor. I loved the embroidery detail. I felt like that MADE the tunic. I don't have (and couldn't find on the island) and embroidery hoop so I just did this all free hand. (I literally followed the cuties from play spot to play spot embroderying ha!). I wanted it to POP so I did it in a funky orange. Which I don't know how well it actually worked but I think it looks cute :) The fabric is by Amy Butler and it was my MAJOR splurge in Singapore. Yup, I broke down and bought a half a yard. 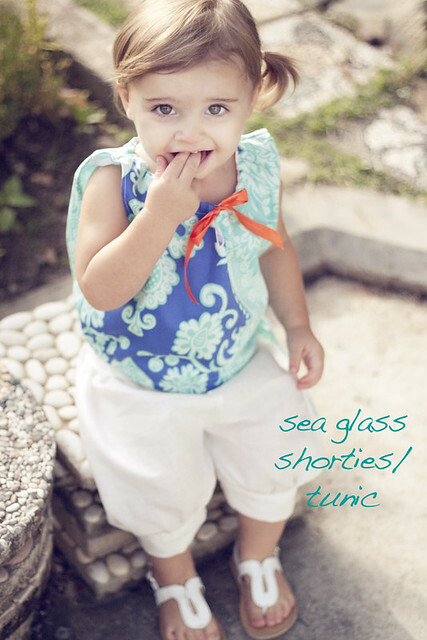 When paired with the Sea Glass shorties Evie looks positively comfy. No sweaty baby here! Now off to find some Sea Glass!! !